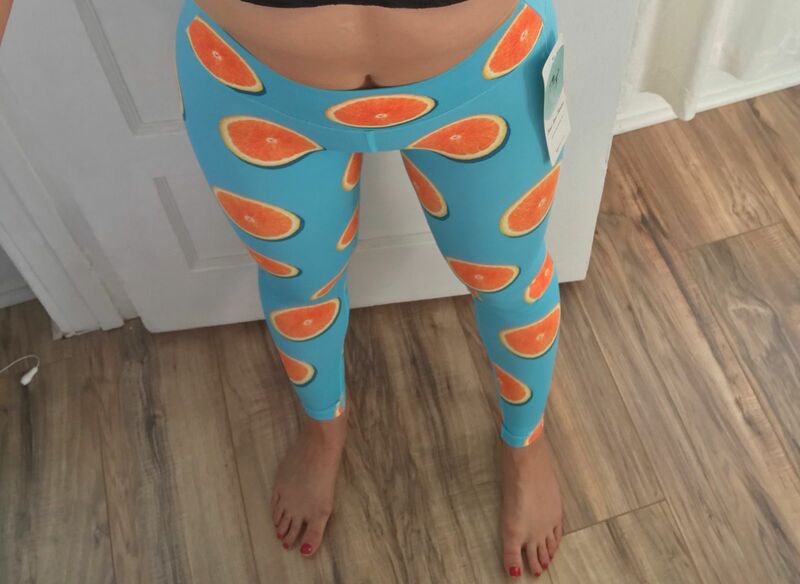 Orange you glad you saw these leggings? Stay comfy, cool and dry throughout our day in these vibrant, eye-catching, Orange slice print leggings by Flexi Lexi. Freedom of movement is no problem for the four way stretch fabric and folding waistband, however you decide to work up a sweat! Quick drying, lightweight material means you'll forget you're wearing anything at all. These are such cute leggings! I love them and they fit great! I would say they run a bit small. I’m 5’ 6” and normally wear an XS or size 0, 28” length and the Small in Flexi Lexi is just right. Can’t wait to get another pair!